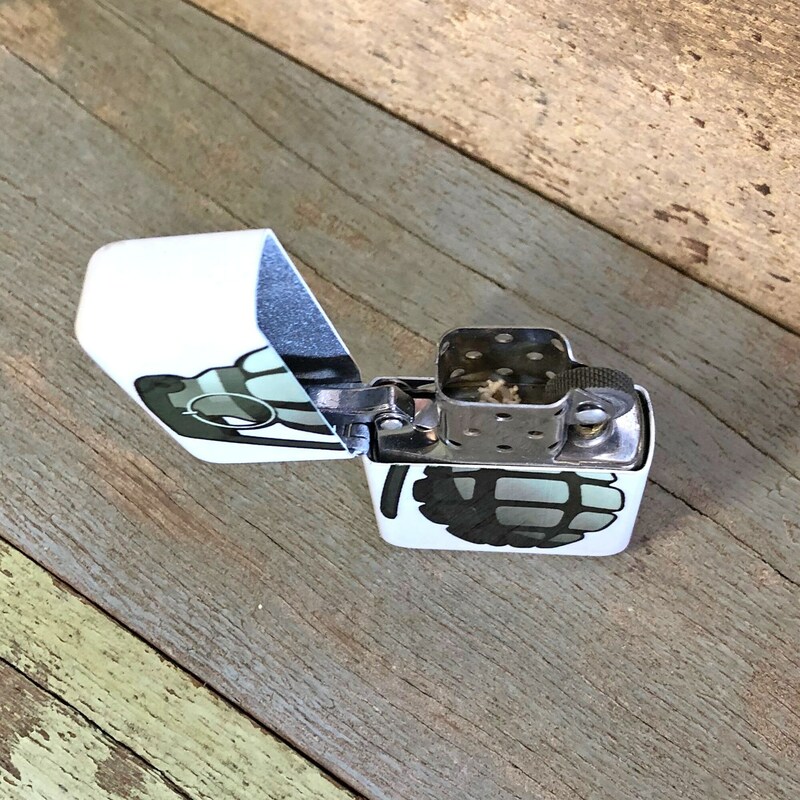 This old school lighter is the perfect gift for bachelors, Father's Day, stocking stuffers, anniversary, or just because it's a fun and cool gift. 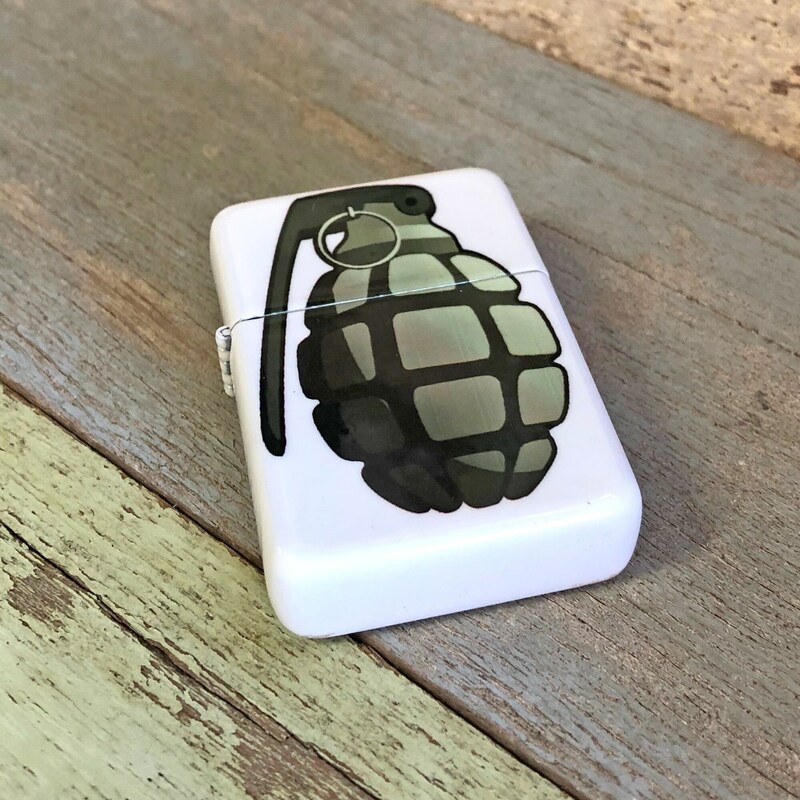 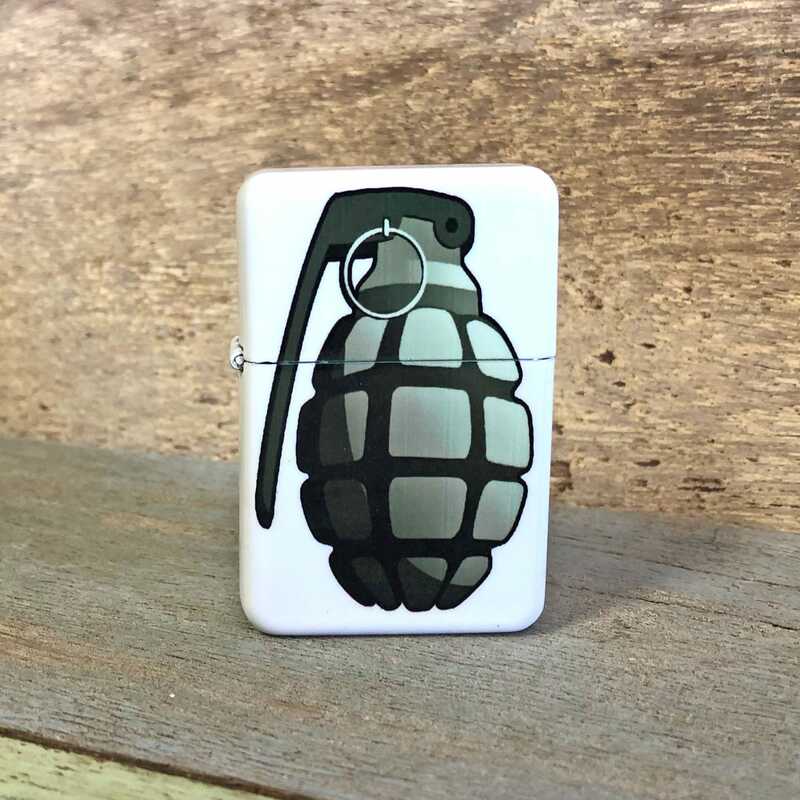 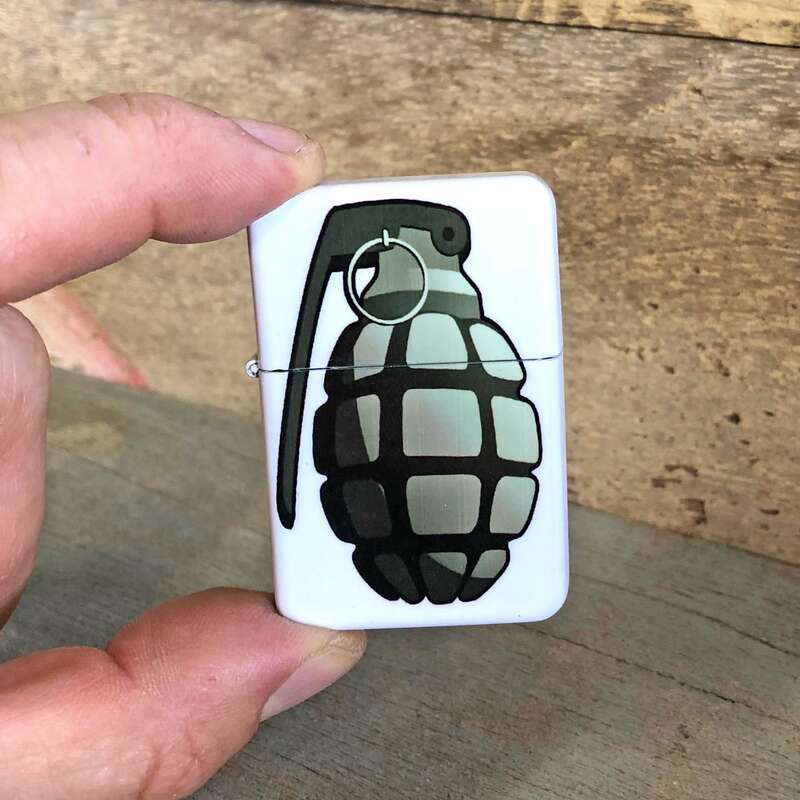 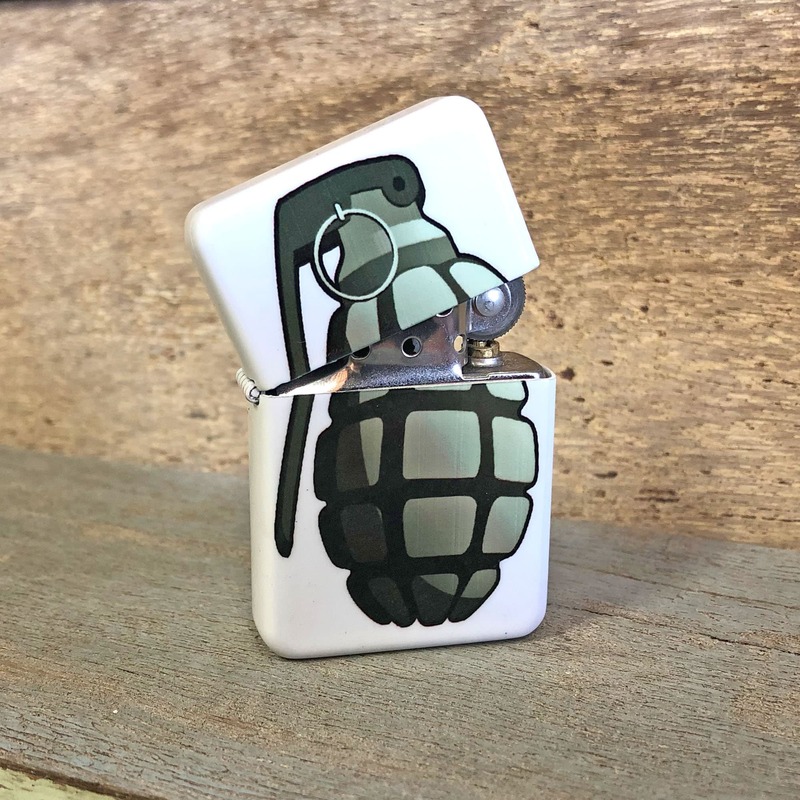 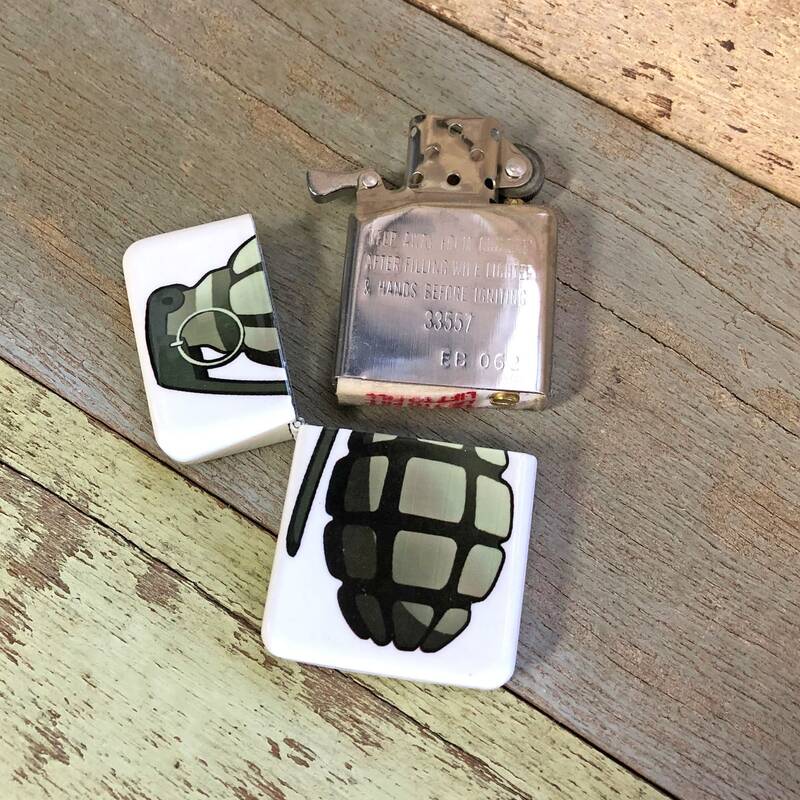 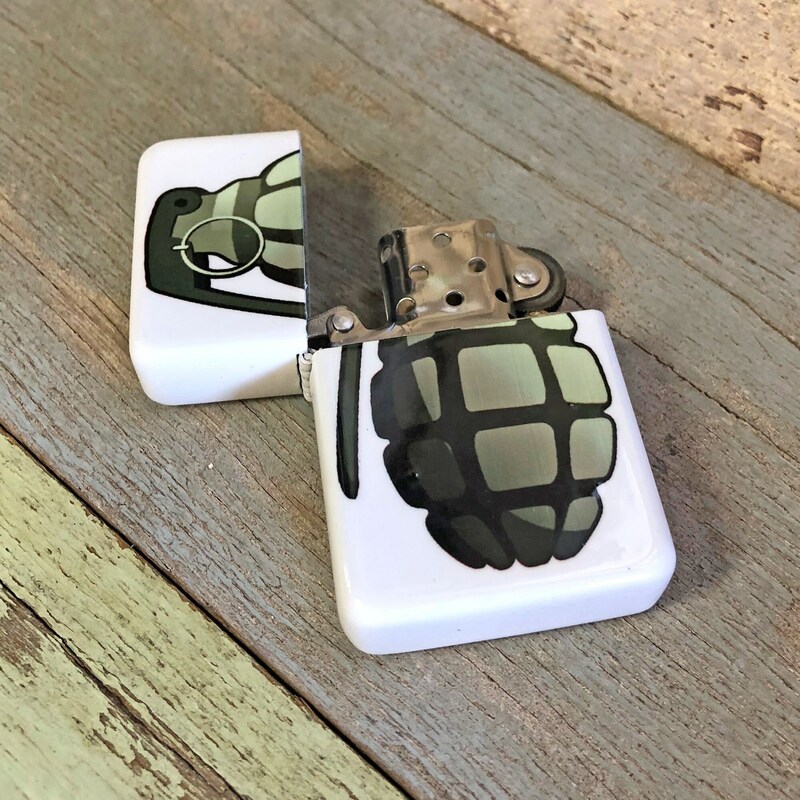 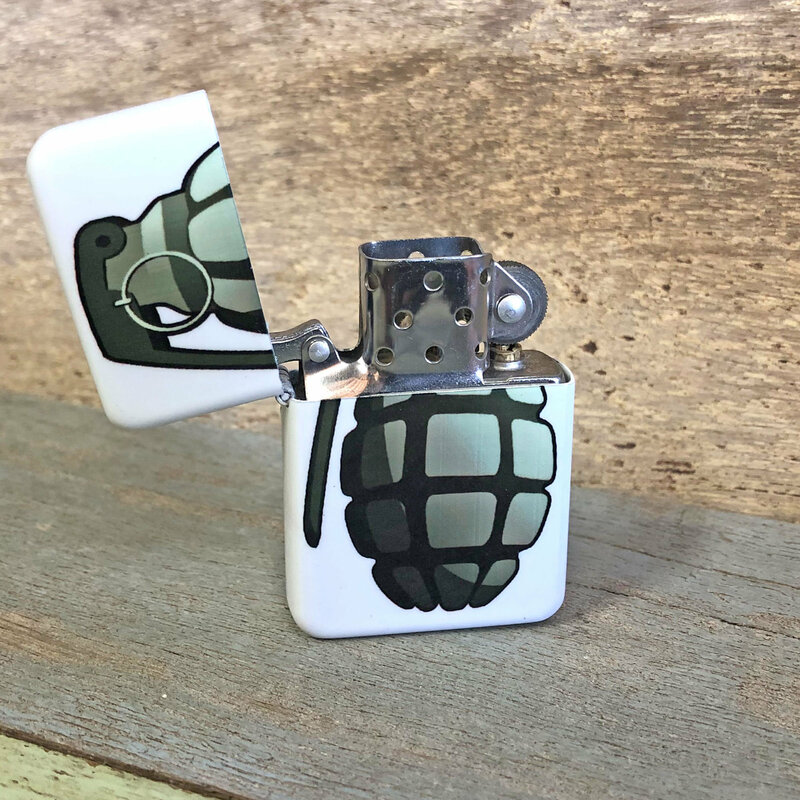 The lighter is made of metal and sublimated with a Grenade design. 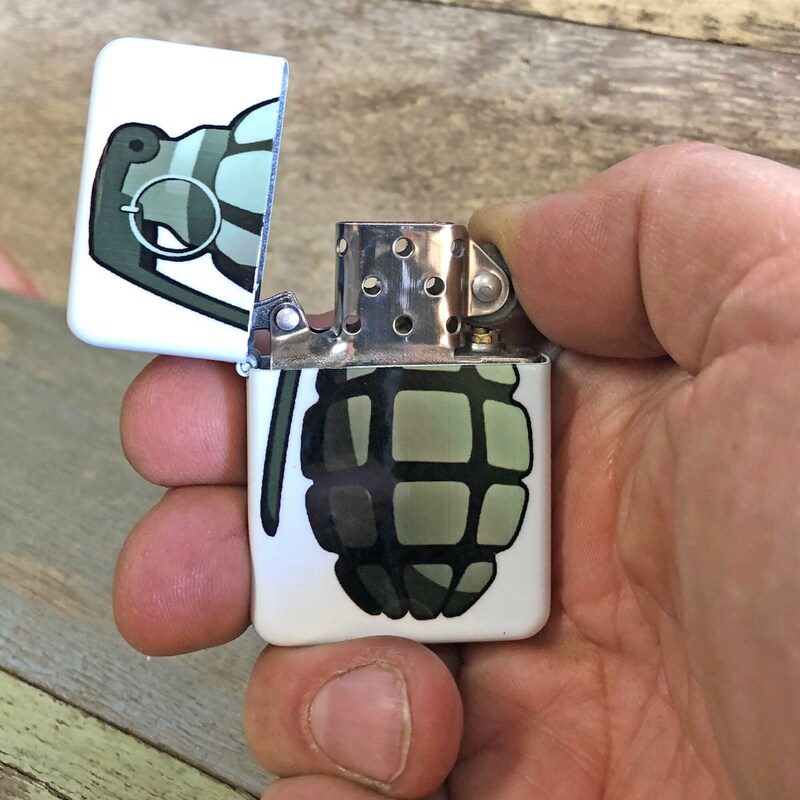 Lighter fluid is not included.